Egypt and Liverpool striker Mohammed Salah speaks during a press conference after the CAF awards at the Accra International Press Conference in Accra after winning the African Footballer of the Year award. 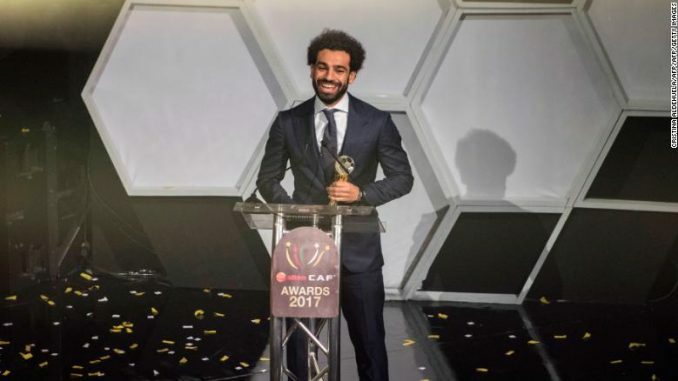 Egypt and Liverpool striker Mohamed Salah has won the CAF African Player of the Year award, beating out his Senegalese club teammate Sadio Mane for the continent’s top individual footballing honor. The striker has enjoyed a phenomenal year with both club and country — he was a key part of a Roma team that finished second in Italy’s Serie A before moving to traditional English powerhouse Liverpool in the summer, where he’s already scored 23 goals from just 29 games. On the international stage he was hugely instrumental in both Egypt’s Africa Cup of Nations success — the North African team made it to the final — and also World Cup qualification for the Pharaohs. Dortmund’s Pierre-Emerick Aubameyang, winner in 2015, was third in voting, which is calculated from a combination of CAF coaches, technical directors, CAF officials and African media experts. Since his move to Liverpool from Italian side AS Roma in the summer, Salah has been a key part of the side’s attempts to retain a top-four finish for the 2017-18 season — and the Champions League football that that brings with it. With his 23 goals for the side so far this season, he’s reached a total previously reached by Liverpool legend Roger Hunt before January in the 1961-62 season, according to the club’s website. 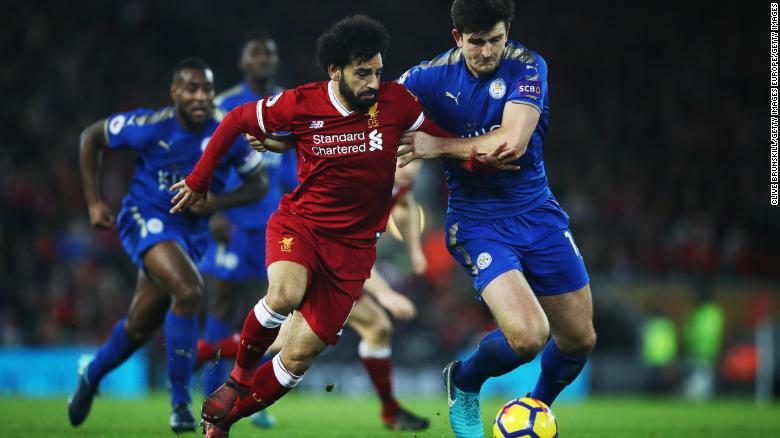 Mohamed Salah in action for his club side, Liverpool against Leicester City in December. His prolific form has carried over to his national team appearances. In a clutch World Cup qualifying game against DR Congo, he scored two, including a extra-time penalty, to secure Egypt’s place at the finals for the first time since 1990. His national team also had a good night at the annual awards, held in the Ghanaian capital Accra. Egypt was named National Team of the Year, alongside its Argentinian manager, Hector Cuper, who was voted Coach of the Year. Nigerian Asisat Oshoala, who plays her club football for Chinese side Dalian Quanjian, won Women’s Player of the Year. Players who ply their trade at English clubs have had plenty of recent success in the award — of the past ten awards, eight have gone to Premier League footballers. Last year Leicester’s Algerian ace Riyad Mahrez won the honor, and prior to that Manchester City’s Ivorian Yaya Touré was named player of the year for four successive years, from 2011 to 2014. Former Chelsea striker Didier Drogba, and then-Arsenal player Emmanuel Adebayor also picked up the award in 2009 and 2008, respectively. Salah and Mane next faced a race to be back in Liverpool for the Merseyside FA Cup clash against Liverpool on Friday. It was reported Liverpool had a charter jet on standby to fly the pair straight back after the awards ceremony, which finished less than 24 hours before kick-off. In total, Salah and Mane completed the 9,000-mile trip to Ghana in a day.